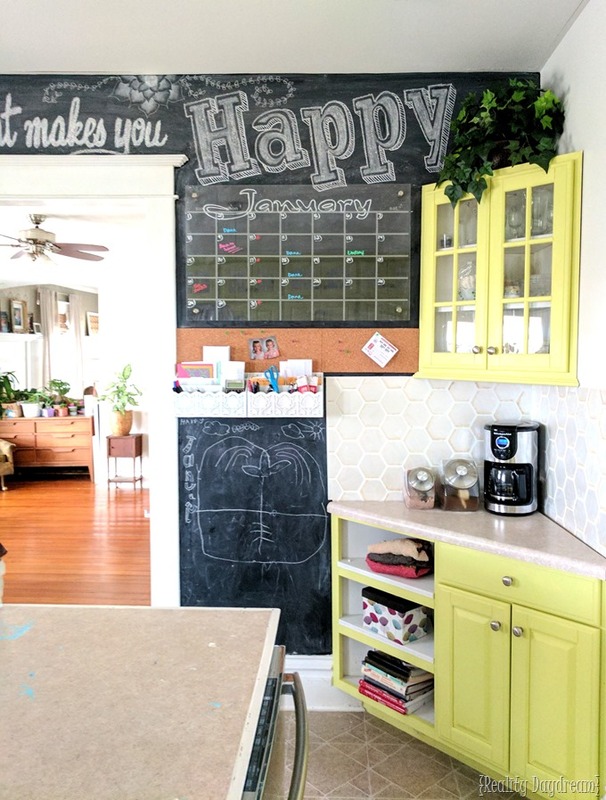 Chalkboard Wall Command Center - with Acrylic Calendar! Greetings to you from the other side of the New Year! 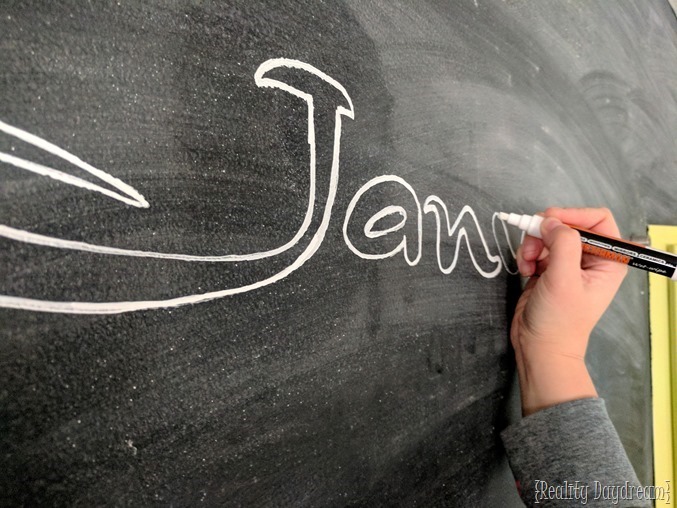 There’s just something refreshing and new-beginning-ish about the first few days of January. We’re all pumped to be better people and live healthier, more organized lives. You too? 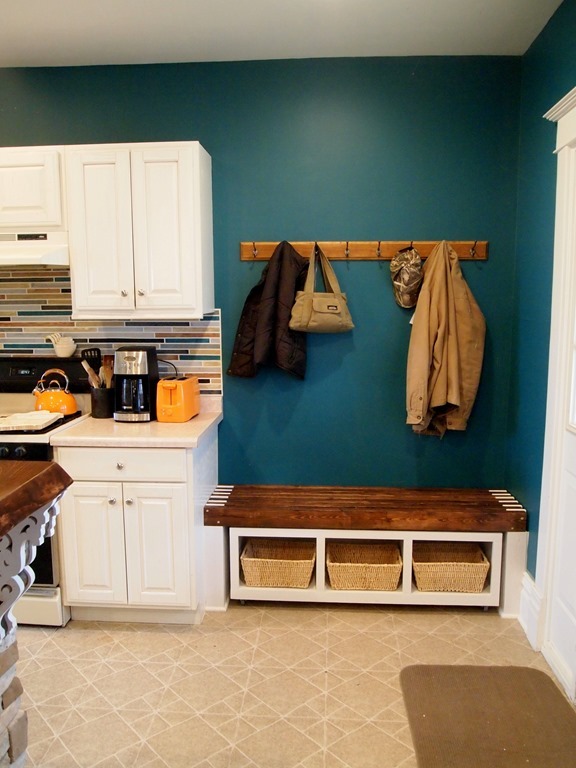 Since our kitchen also serves as our mudroom, there just isn’t an obvious spot to put a Command Center. 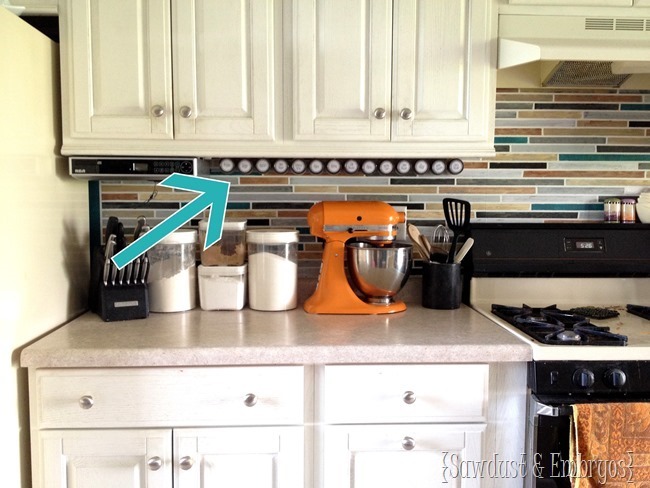 And our kitchen NEEDS a command center. I’m very calendar oriented (just can’t get on board with online scheduling! )… I need a physical calendar. On my wall. Like really big. 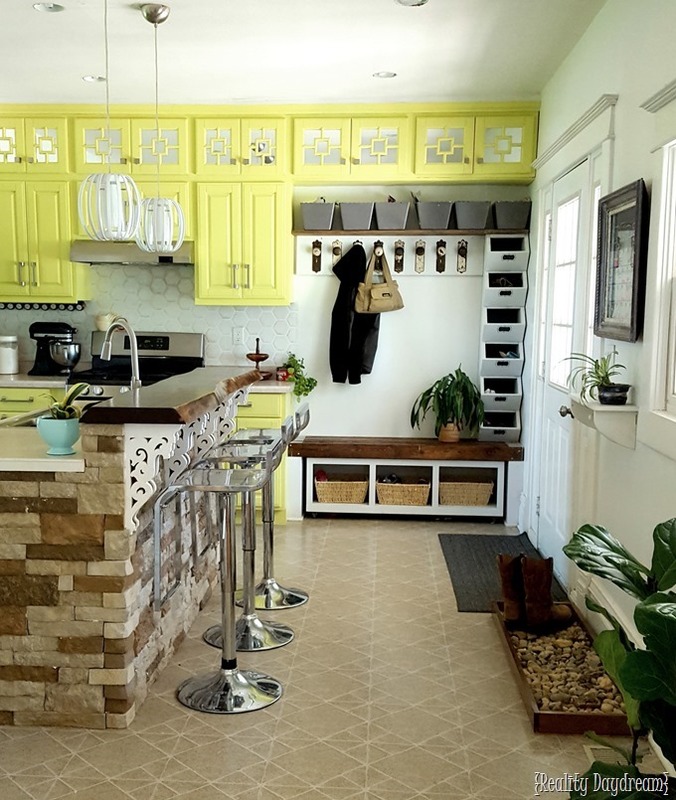 But I rarely show this side of my kitchen, because that giant doorway shows two other rooms that I need to clean enough to take a picture. THIS is the wall I’m sacrificing to the command center! It’s pretty awkward and sad anyway, so it can only get better, right?! 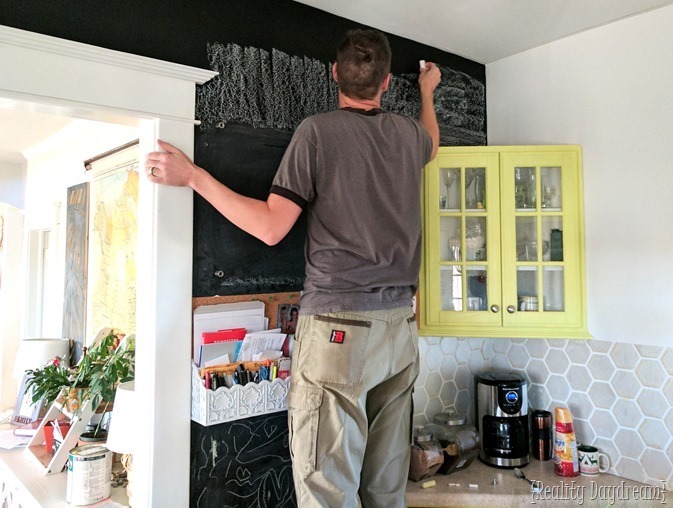 I don’t care how trendy they are, I love a good chalkboard wall. And it’s the perfect ‘background’ for a command center IMO, so I went for it! 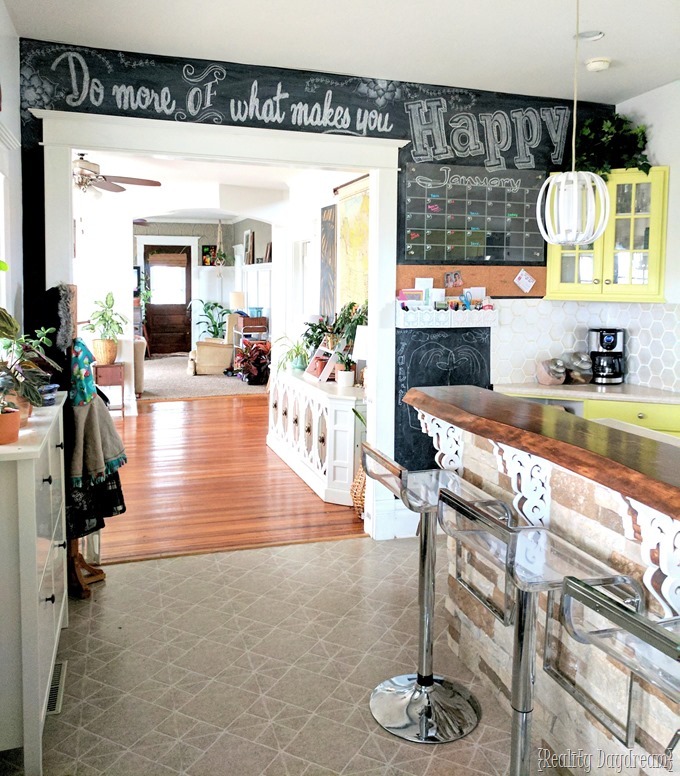 And it would also serve as a designated space where the girls could be free to create their own chalkboard art. 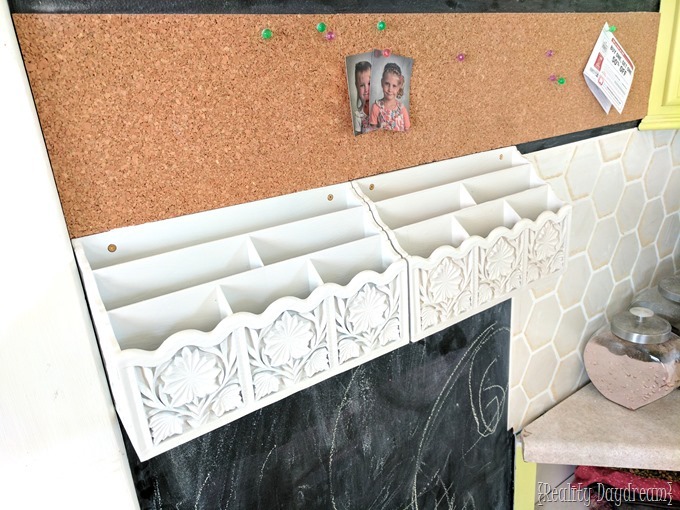 We screwed in a couple mail sorters straight into the wall (here are some similar ones) and slapped up some cork squares above with this adhesive on the back. 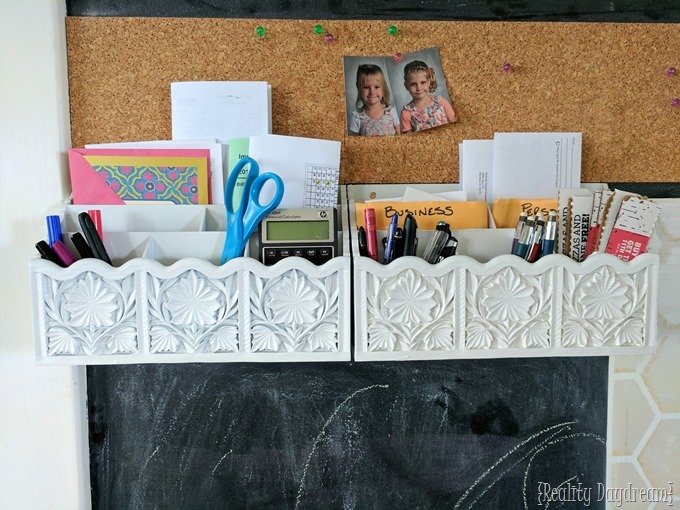 We need a place to store STUFF, and yet still pin up some things we don’t want to forget about… like coupons, appointment cards, and school pictures! 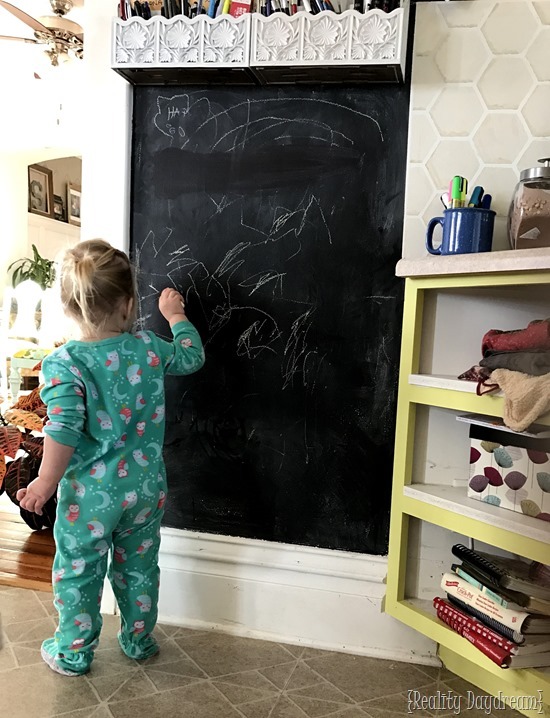 And take a break to watch your tiny tot make some artwork on their new ‘canvas’ (what kid doesn’t fantasize about drawing on the wall without getting in trouble?! I love the look of acrylic wall calendars (major inspiration from this one by Jen Woodhouse), and I had the perfect spot for it on this wall! 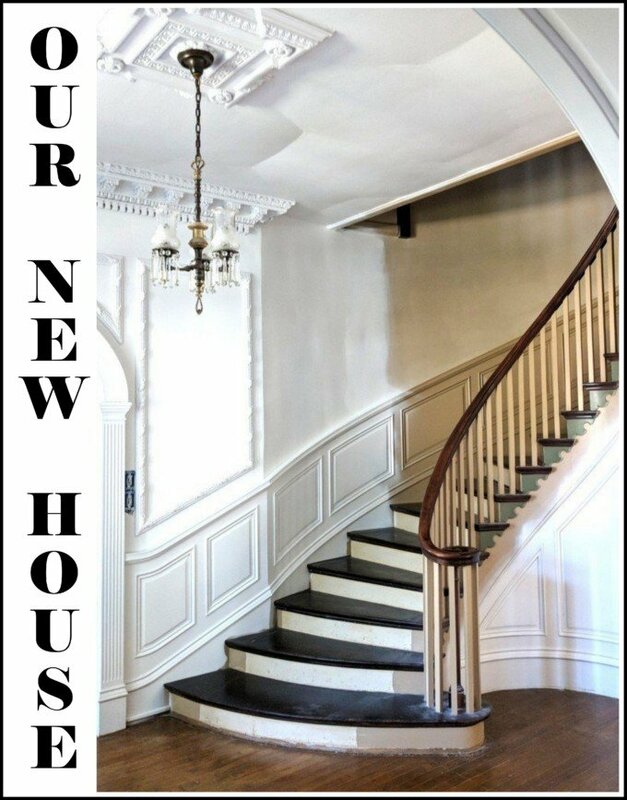 Nick picked up a sheet of 1/4” acrylic plexiglass at our local home improvement store, and cut it to the dimensions that we needed. 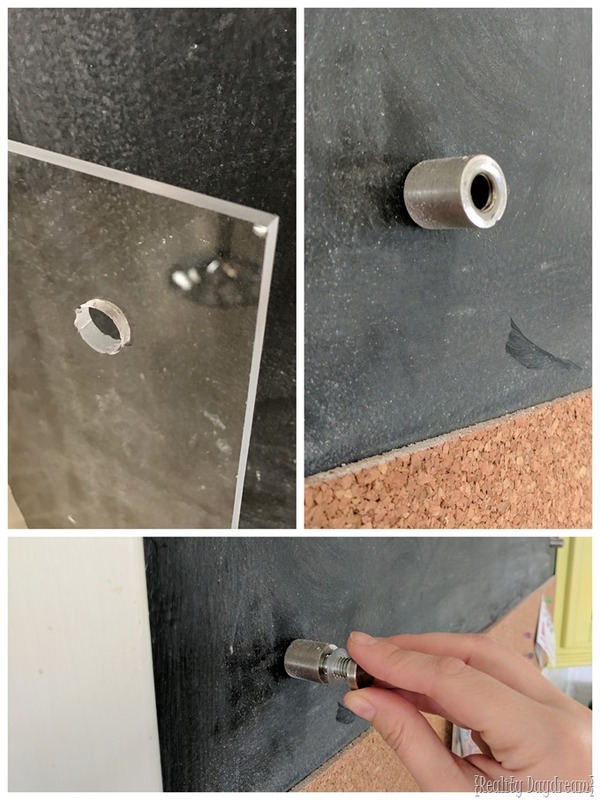 We bought this hardware that allows some ‘space’ between the wall and the acrylic sheet. We marked where we wanted them on the acrylic as well as the wall, and drilled accordingly! 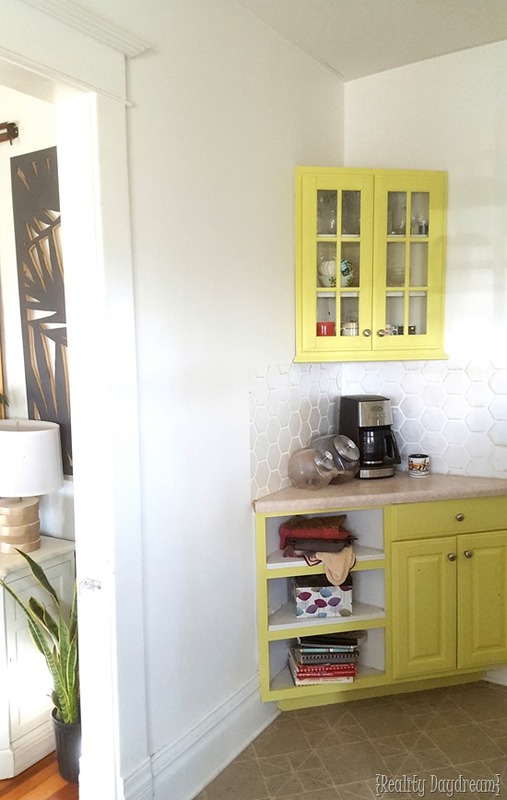 You could totally spray paint these gold (or any color) if silver isn’t your thing. We gave the dimensions of our acrylic sheet to my bestie Dana the vinyl ninja, and she cut us a sheet of vinyl to be a calendar that can be affixed to the BACK of the acrylic! 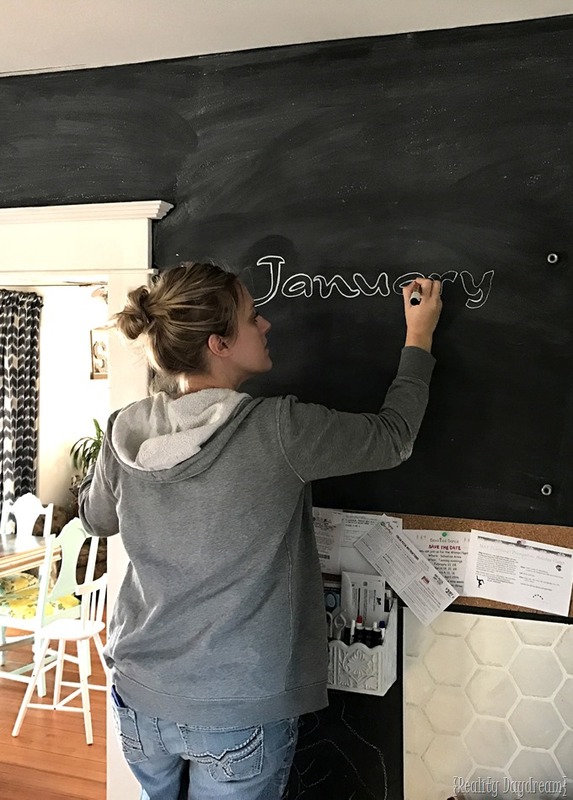 That way when we’re using dry erase markers on our calendar, there won’t be marker build-up in the crevices of the vinyl grid. And the best part? 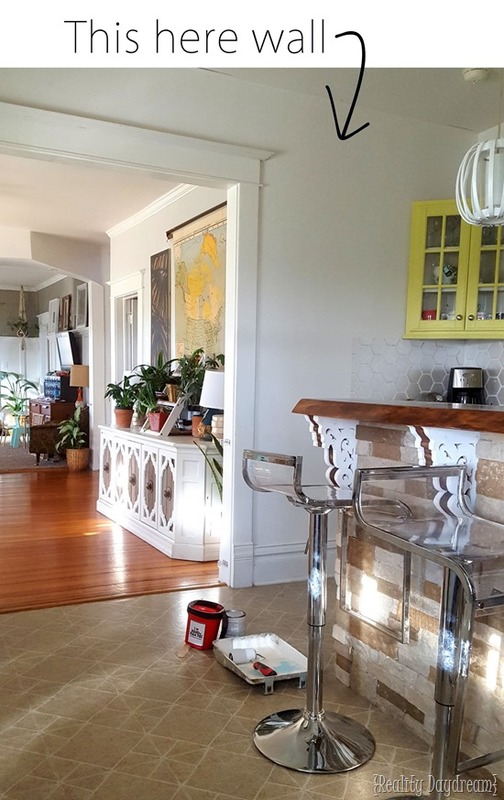 This vinyl gives the look of FROSTED GLASS! << yes I’m yelling that. It’s beautiful. And I love it! 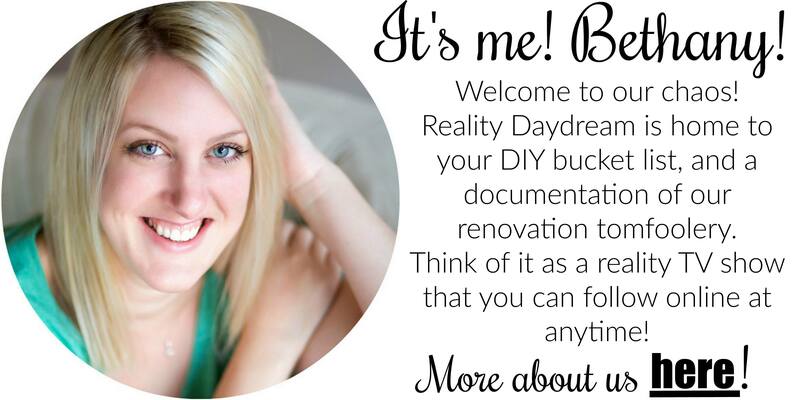 You can order one here! 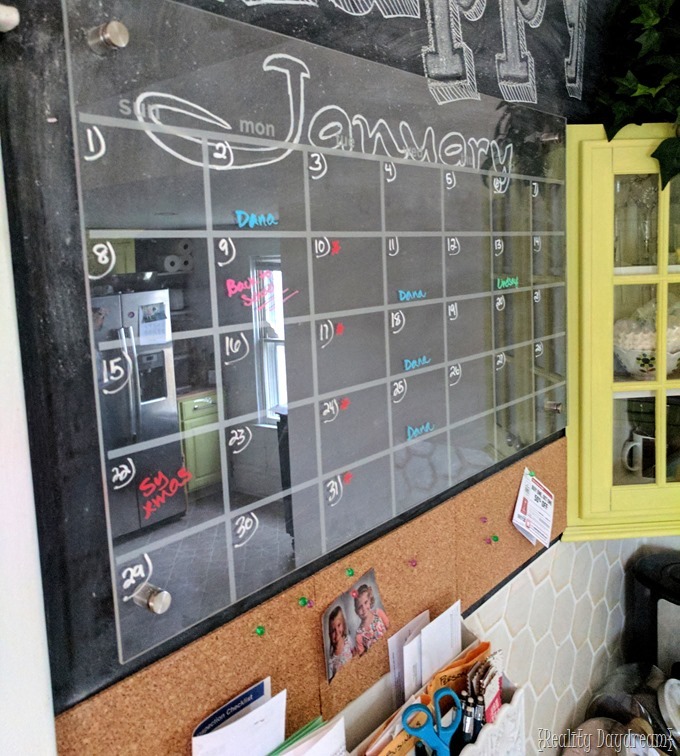 Similar to my Framed Chalkboard/Dry Erase Calendar (from the early years of my blog) I wanted to write the month BEHIND the plexiglass on the chalkboard! 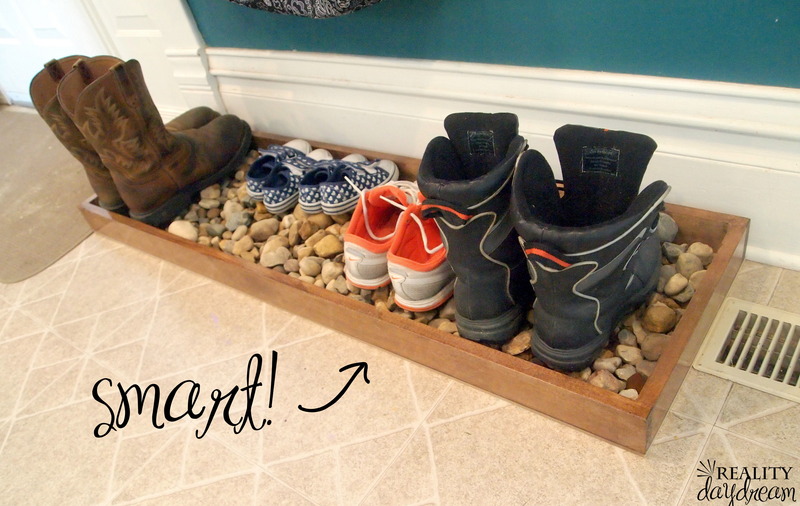 This is SO OPTIONAL… but I just love changing it out each month. 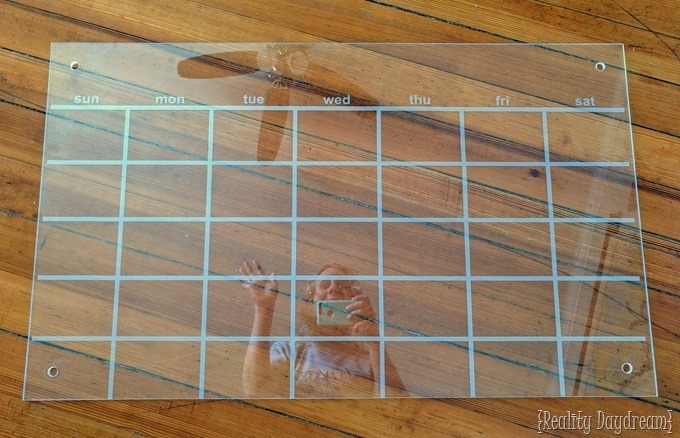 You could easily just write the month on the acrylic plexiglass and move on with your life. Then it was time to ‘install’ the acrylic plexiglass and fill it out with our schedule! Oh, and I added some chalkboard art in the form of inspiration quote to start off our New Year. I feel strongly that WE MAKE OUR OWN HAPPY. I may have had a little TOO much fun adding the calk art quote, but I had so much fun! 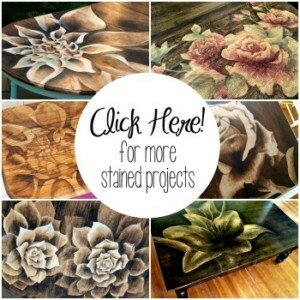 I loved experimenting with shading those same Lotus flowers that I use so often in my Shading with Stain technique! The chalk was super fun to work with, and not surprisingly, easy to shade! 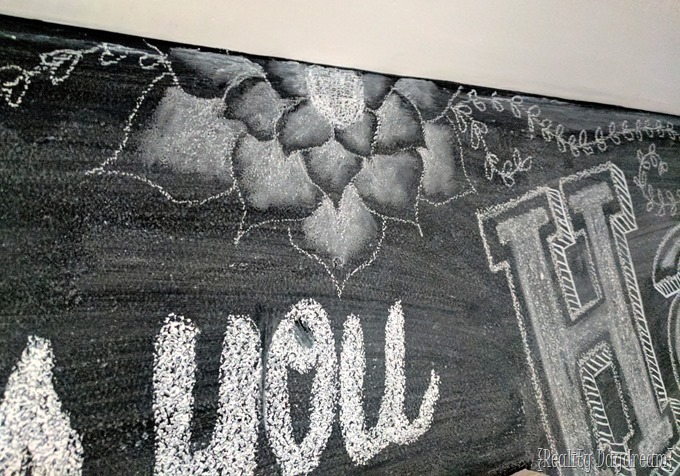 I love how this wall turned out, and that we can all ‘express ourselves’ through chalk! 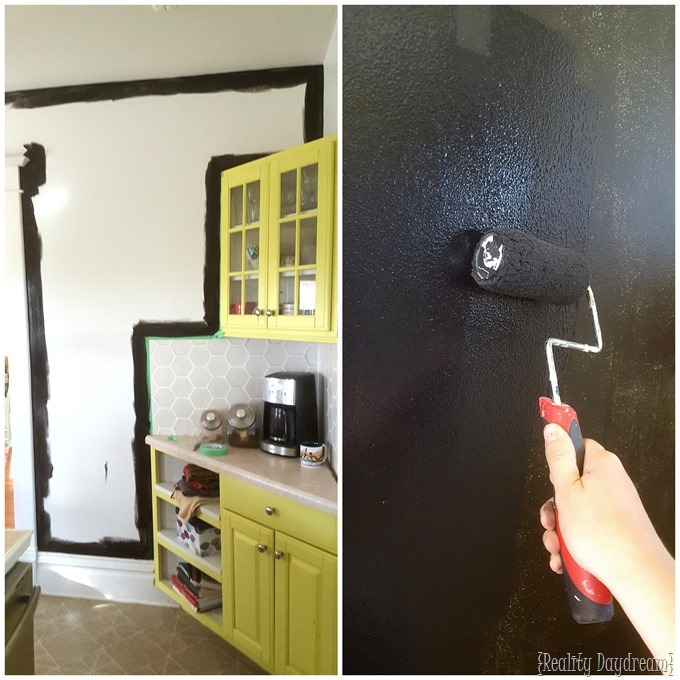 I hope you’re inspired by seeing that you can really turn just about any odd-shaped / awkward wall into a functional command center and focal wall! 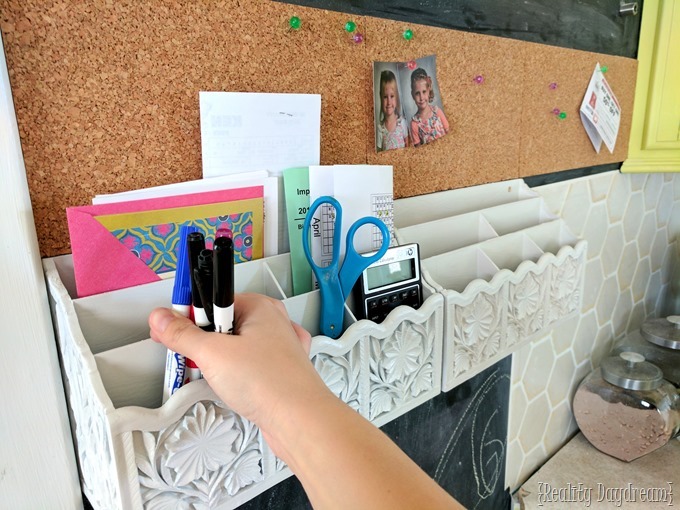 And this will almost certainly help us be more organized as a family this year. YAY! 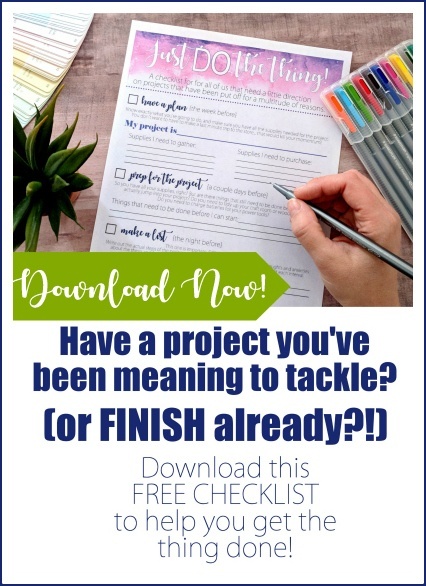 Have you made any efforts to be more organized lately? I want to hear about it! 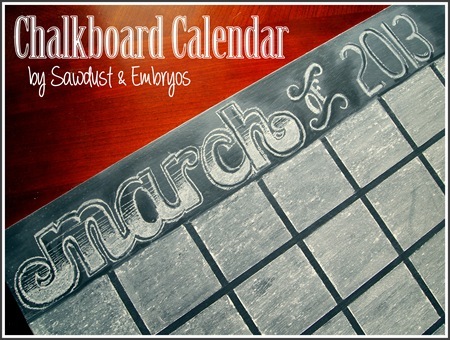 Dry Erase Chalkboard Calendar… Fun, Funky, Functional and FABULOUS!